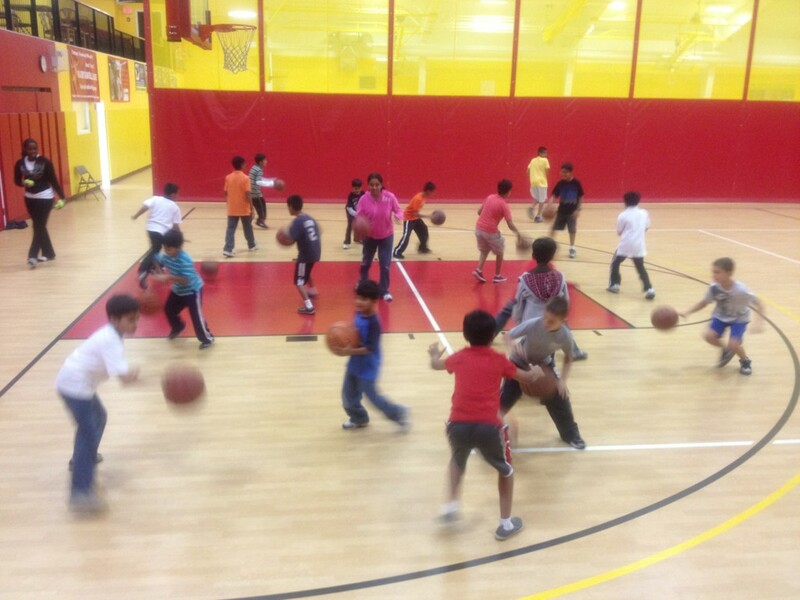 Junior Small Fry Basketball is a main focus at Monroe Sports Center. Our program presents a wonderful opportunity for your child to exercise and socialize, while developing a passion for sports. Each Small Fry program is designed with a progressive structure to ensure improvement within each learning stage and lay a foundation on which to build a game that can be played for life. Junior Small Fry Camp groups will be mixed with the older MSC Basketball Campers for certain activities. Junior Small Fry Camp will give young players the opportunity to learn basketball skills and fundamentals while having fun! 9:15-9:30am: Warmups. Jr Small Fry Campers and Full Day Campers will be broken up into groups with their coaches, but will warm up together. 9:30-10:30am: Stations. Jr Small Fry Campers will be grouped together at a 7-9 Foot Basket. Depending on the number and ages of players in camp, Jr Small Fry campers may be broken down into smaller groups, and the rim height will depend on the age and skill level of the players. Coaches will rotate through the groups and each group will participate in stations to work on shooting, ball-handling, passing, rebounding, footwork and much more. 10:45-11:15am: Games & Contests. Jr Small Fry Campers will be taught and have the opportunity to participate in classic and fun basketball games, like knockout, dribble tag, and hot shot competitions. 11:15-11:45am: Organized Team Scrimmages. Jr Small Fry Campers will be placed onto teams and will learn team concepts while playing in an organized team scrimmage. Players will be taught spacing on offense, zone defense as well as basic man-to-man concepts. Choose the days you want to play throughout the summer - register for one day, 2 weeks, every other Tuesday or every day of the summer!